Sometimes a company succeeds and thrives because its leaders have a game plan that they adhere to rigorously no matter how circumstances may change, and sometimes unforeseen opportunities arise that compel the leaders of a company to shift gears and take advantage of serendipitous happenstance. 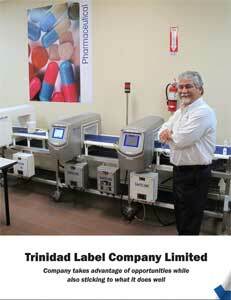 Trinidad Label Company Limited (TLC) in Laventille, Trinidad is one company that falls into both categories. TLC was established in 1996, by its founder Stephen Santos, as a small label manufacturer. Santos had bought labeling equipment from another business that had recently folded. His aim was to supply identification, pricing, and bar code labels for clients in the retail trade, including supermarkets, pharmacies, etc., throughout the English-speaking Caribbean. In order to supply his customers with, pre-printed, self-adhesive labels, TLC became a representative for Avery Dennison Monarch, a leader in the labeling industry. “I started off with that as my main product,” says Santos. But in 2001, things changed when TLC began supplying labels for supermarket weight scales and Santos started to hear complaints from one of his customers that his labels weren’t accurate. Upon inspection, it ultimately became clear that the labels weren’t the problem – the scale, itself, was registering incorrect weights. “So we fixed the scale and the labels worked fine,” he says. Mettler Toledo is a global manufacturer of scales and precision analytical instruments used in scientific research and quality control labs across different industries such as pharmaceutical, food and beverage, and petrochemical. 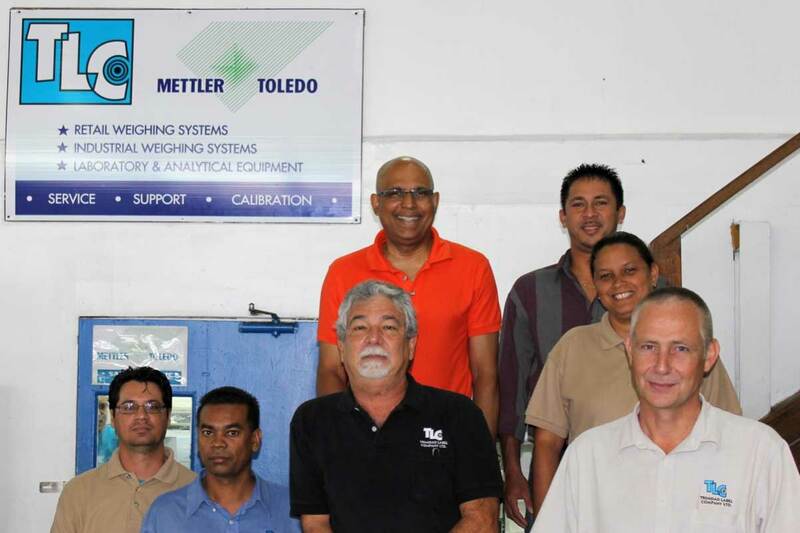 As a representative of Mettler Toledo, Santos’ company proceeded to provide installation, calibration, and servicing of its equipment. But, as Santos admits, “This was not part of the plan, at all. The Mettler Toledo equipment side was not part of our original plan. 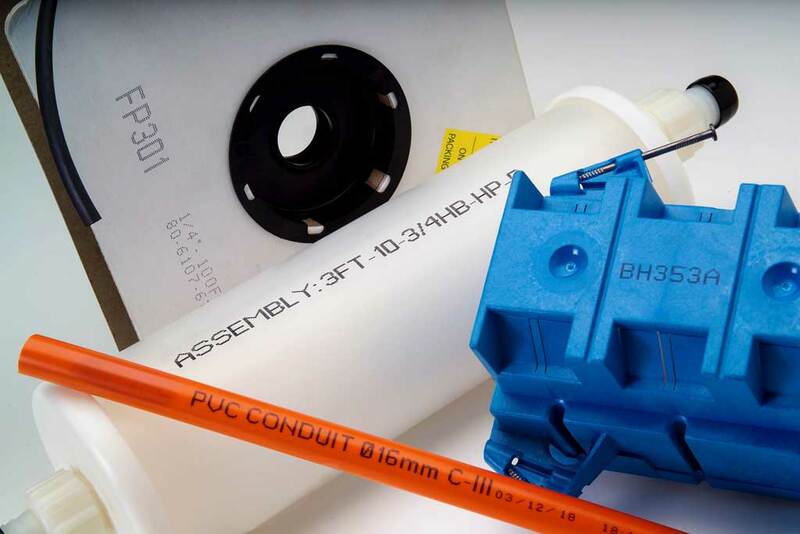 We were going to be a small, basic labeling supplier.” But taking advantage of this unforeseen opportunity allowed TLC to expand its product and service offerings. 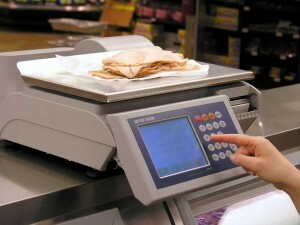 Some of the Mettler Toledo products that TLC distributes, calibrates, and services, today, for its retail customers include: price computing scales, counter scales, checkout scales, self service scales, hanging scales, wrap-weigh-price labeling systems, and high speed checkweighers, which are used to inspect the weight of products moving at high speed on a packaging line. Its industrial weighing solutions include: counting scales, floor scales, wheeled scales, load cells, weigh bridges and truck scales, bench and contact scales, and weighing terminals. In addition the company also supplies a wide range of Mettler Toledo laboratory and analytical instruments. TLC also supplies and services the following Avery Dennison Monarch equipment: handheld, pricing encoders used in retail and warehouse management; handheld tag attachers and fasteners; scanners and printers; mobile workstations; and UPC barcode numbers. The company is also the distributor for Citronix, Inc. in Trinidad & Tobago, Barbados, and Guyana. Citronix designs and manufactures continuous ink jet printers to apply identifying marks such as best before dates, traceability codes, logos, and batch codes to almost any kind of material or surface. Of course, labels still remain the main core of TLC’s business, and the company is the leading supplier of scale and pricing labels to retailers in Trinidad and Tobago. TLC designs and produces labels for all brands of scales which can be pre-printed with customers’ logos and other fixed data. After a product is weighed or counted, the variable data (date, price, weight and/or count) can be transferred onto the pre-printed label using thermal printing technology. 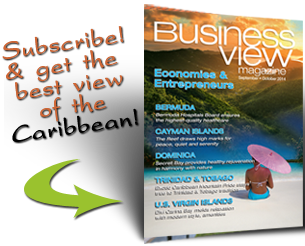 By sticking to what it does well, in addition to taking advantage of an unforeseen opportunity, Trinidad Label Company Limited has certainly carved out a well-defined and profitable niche in its chosen field of endeavor.